Online cosmetics retailers are having a serious moment. Here’s how to keep costs low when sending your high-quality beauty supplies around the world. Packaging cosmetics can be tricky — you want to be interesting without being too flashy. You want to protect products in transit without adding too much weight or creating unnecessary waste for your customers. And you want to ship items quickly without passing on too much of that cost to buyers. Not sure where to start? We’ve put together this helpful guide to packaging your products with quality materials and shipping them out to customers quickly and cost-effectively. When shipping sensitive items such as soaps or bath bombs, bubble wrap should be your best friend. This may seem like a given when shipping nearly any breakable product, but it’s especially important with cosmetics that can easily chip, crack, or break apart, such as concealers in glass tubes or eyeshadow palettes. Depending on the exact product you’re shipping, consider whether packing peanuts, bubble wrap, or shredded fill best suit your needs. With boxes, bags, and labels that prominently feature your brand’s logo, you can create a memorable unboxing experience for your customers. For small businesses trying to make their presence felt in the competitive e-commerce market, effective branding can earn customer loyalty, in turn driving future sales. If you’re looking to protect cosmetics while adding some style to your packaging, tissue paper makes for a great option. For retailers who are trying to build brand recognition and develop a loyal following, individually wrapping items can send a signal that you care about your customers’ purchases, even after they’ve left your warehouse. On top of a budget-friendly price tag, tissue paper offers the possibility of color coordination to match your brand’s graphic design. Whether you’re individually wrapping items or tying them up with tasteful twine, going the extra mile tells customers that you want their business — and their trust. With twine or ribbon, you can create a tasteful bow to tie around cosmetic palettes, tubes, or bottles. This extra touch does more than add a bit of flair; it can prevent items from accidentally opening, spilling, or chipping on the way to their final destination. 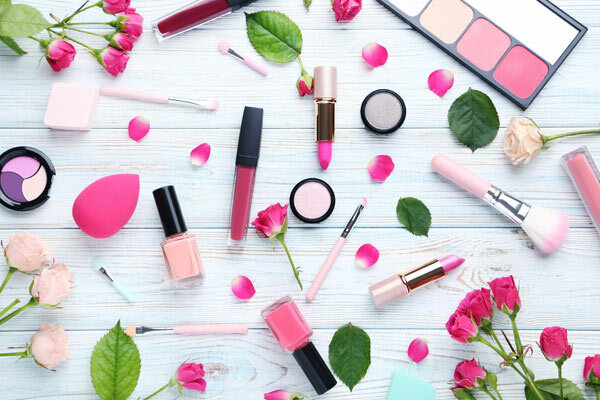 Customers who have invested in your high-end beauty products want them to arrive in peak condition — so in warmer months, it’s essential that you do everything you can to prevent items from melting during transit. Primers, foundations, and concealers can coagulate, break down, and melt if they’re not kept at a reasonable temperature. With expedited shipping, you can prevent your shipment from sitting in an unairconditioned sorting facility for days on end. You may also want to include a frozen gel pack to preserve the integrity of your products in case of any unforeseen delays.